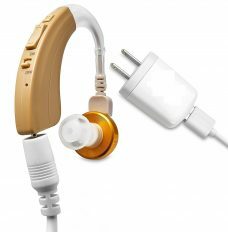 Why MEDca rechargeable hearing amplifier is an ultimate choice? 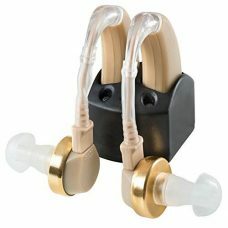 MEDca has finally brought for you the new and improved rechargeable BTE hearing amplifier with most advanced features. Whether you need a amplifier aid to control your condition or you wish to experience better sound quality, this device is an ideal choice for you. 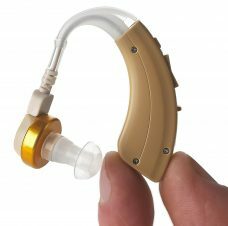 This hearing amplifier may seem small and simple, designed just to fit behind your ear but it’s indeed a major breakthrough in the sound interception and amplification technology. It has an advanced noise reduction feature that gives you the best amplified sound. 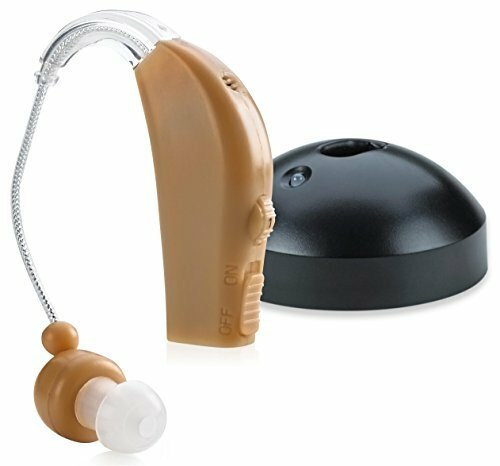 For convenience the device has an adjustable wheel that allows you to set sound level easily according to your hearing need. Not sure which size will fit your ear perfectly? No worries! Our hearing device is made for all types of ears. Our products are known for their exceptional durability. This unit has a strong build and is guaranteed to last for a lifetime. 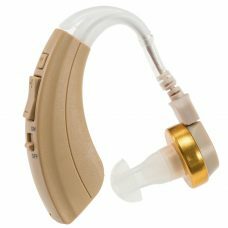 You can totally rely on this extraordinary hearing device from MEDca. 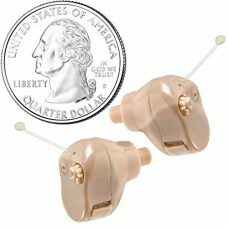 It’s a once in a lifetime purchase as unlike in other hearing amplifiers you won’t have to spend additional expenses on batteries. 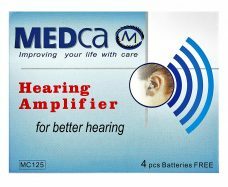 If you are looking for a premium but budget friendly device then MEDca rechargeable BTE amplifier is just for you. We are offering a deduction for now! Get your before it’s over! Take full advantage of this limited offer today by just clicking the Add to Cart button above. 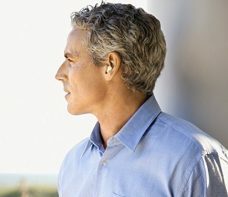 UNIQUE RECHARGEABLE HEARING AMPLIFIER: The ultimate BTE hearing amplifier for those who seek high quality sound amplification. It comes with a noise reduction feature that offers optimum hearing. CUTTING-EDGE DESIGN: This revolutionary device is designed by our most experienced audiologist. It has full digital circuitry and volume control for better access. Our amplifier is small and flexible. Also, its charger is sleek and travel-friendly. LOW POWER CONSUMPTION: This BTE amplifier is rechargeable, which eliminates the requirement of buying replacement batteries. It consumes extremely less power, and once fully charged can run for two working days. PREMIUM QUALITY: Both the external and internal components of our device are made from top grade materials that ensure better quality and lasting. 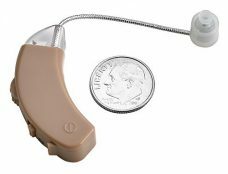 COMFORTABLE AND CONVENIENT: Our new rechargeable hearing device can be worn comfortably in either ear. For perfect fitting in all types of ears of all ages, it comes with 6 distinctive ear plugs.